Improve your tactical situational awareness of critical sites against threats and attacks in opting for 360° height surveillance, reducing costs, saving time and gaining efficiency. 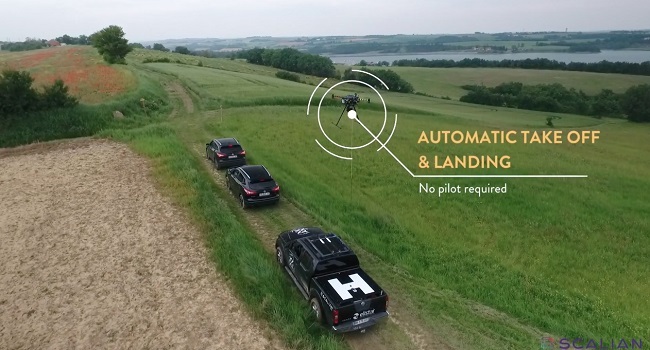 A fully autonomous system, that can be operated from anywhere, any time, sending the drone for any reconnaissance mission in case of alert or intrusion on site. 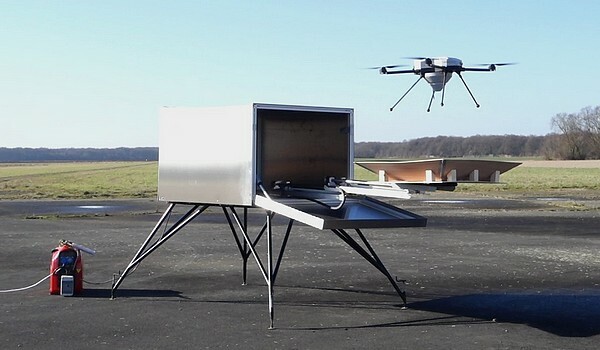 The drone box solution enables a 24/24 7/7 autonomous take-off/landing and battery recharging. The dronebox provides routine schedule surveillance or on alarm triggered events, the drone will provide secure aerial image of the intrusion. More than just a drone, we integrate Artificial Intelligence so that the system recognise its environment and automatically detects any unusual situation. For example, it can detect any breach in the fence automatically. Human intervention is reduced and and surveillance is more efficient. Mobile tethered solution with follow me and tracking features for convoy surveillance. When decision taking is crucial, the all integrated armoured/civil UAS tethered capability provides an important asset on the field. Live imaging from UAV transferred to Command Center and analysed in real time. AERACCESS provided a turnkey solution with easy friendly interface to help non-technical staff operate day and night the UAV and help improve security in reducing perimeter breaches. The main issue of this project was the vegetation which is very dense and about 50m high, causing detection of intrusion almost impossible using traditional CCD PTZ cameras. The terrain is also unpracticable as end-user need employ tracks to move trough the site, and hence, the time to reach an end point where threats are detected is too long. Reaction time is thus critical. End-user needs to dissociate real threats from false alarms, and prioritize how the security staff operates on the site, reducing breaches. In addtion to these issues, the weather is very hot (above 50°C) and dusty, with humidity above 95°. The system needs to be ruggedized to provide best performance in these conditions. For any threats detected, the command center now deploys the UAV on site for immediate superior situation awareness. 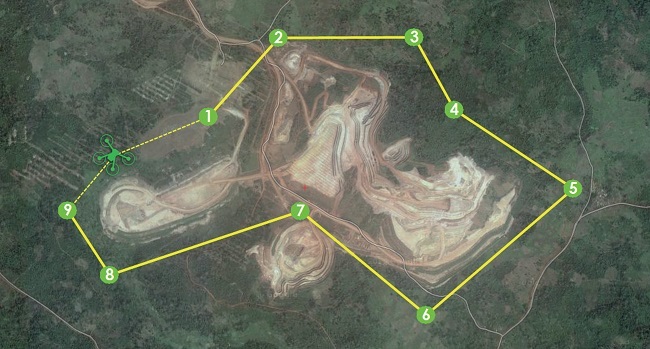 Effective and done with intelligence, surveillance is now easier than before, and end-user gets a 360° ground situation and that from 150m high, providing a general overview of the site. Defensive capabilities against perimeter intrusion is now managed in an intelligent way, staff is less exposed to danger as there is better coordination in interception.